Obituary for Roy Malcolm Carpenter Sr.
Roy Malcolm Carpenter, Sr., POP, was born in Aiken County, South Carolina on February 25, 1931. Upon completion of high school, Roy went on to attend college at The Citadel Military College of South Carolina for Pre-engineering. However, life re-routed him down a different track. Roy served in the U.S. Navy as an aircraft mechanic during the Korean War where he was awarded for his service by receiving a National Defense Service Medal, Korean Service Medal, United Nations Service Medal, China Service Medal, and Good Conduct Medal. Parting from his time in the service, Roy began fulfilling is lifetime career and love for trucking. His venture into “Carpenter Trucking” turned into a family business that provided well for his family. Roy was a very hardworking man and served as a mentor to many. His dedication for his career was known throughout the community. He would accomplish anything he set his mind to and always ensured a job was done right, even if he had to do it himself. His soft spoken, gentle spirit extended beyond the job. He would give you the shirt off his back if it was needed. Although a simple man, Roy ensured his family and friends had what they needed to excel in what life’s challenges brought them. 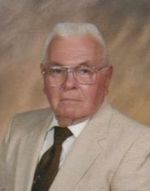 Roy was an active member of Wallace Baptist Church. Roy is lovingly remembered by his wife of 51 years, Grace Lucille (Elam) Carpenter; daughters Rebecca Kay Reeves, Jacqueline Lynn Carpenter; son Roy Malcolm Carpenter, Jr. (Sherri); grandchildren Jesse and Alicia Reeves, Mallory Grace Carpenter, and Payton Elizabeth Carpenter; Brothers Jack A. Carpenter (Mildred), Richard L. Carpenter, and William H. Carpenter (Audrey). Roy has now joined his parents Ernest Meldrim Carpenter and Sarah Catherine Hungerpiller Carpenter; Aunt Lois Hungerpiller; Brother Charles Robert Carpenter; and Son Norman Lee Reeves. To send flowers to the family of Roy Malcolm Carpenter Sr., please visit our Heartfelt Sympathies Store.